We hit Reno a few Sundays ago and I had one of the best breakfast sandwiches ever. 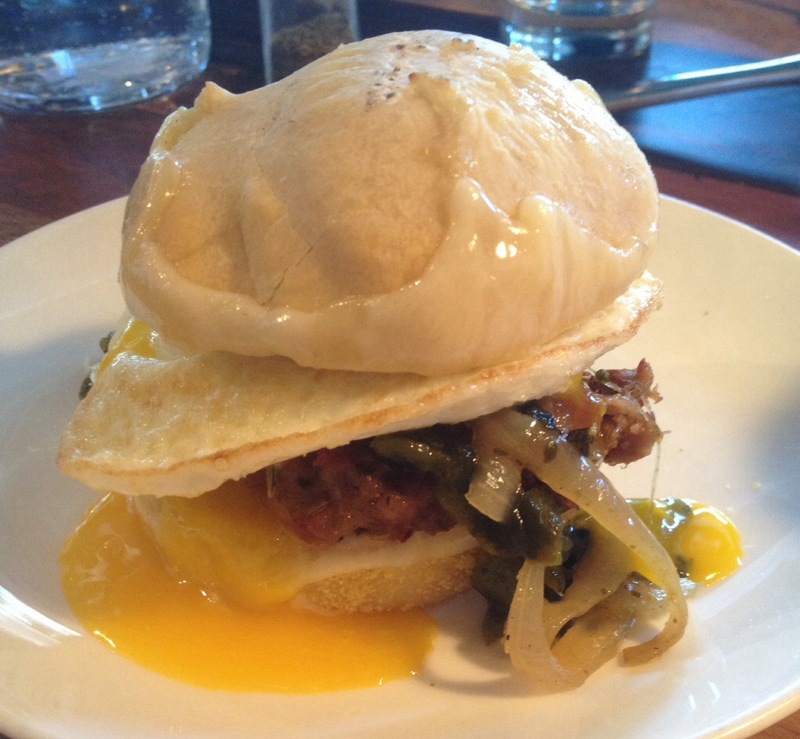 It’s called the Hammer and it’s simply a fried egg, sausage, and rajas on an English Muffin. The sausage is spicy and thick and formed in a somewhat loosely packed patty. The rajas makes it; it’s peppers and onions sauteed in some cream. And the English Muffin at this place is gargantuan, but light and fluffy. Really good.